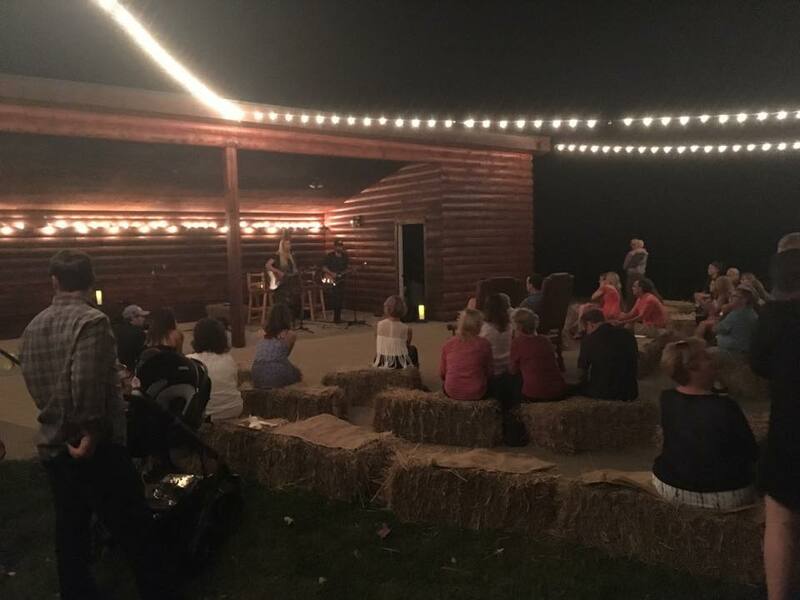 SATURDAY NIGHT OUR jam band Pepper Spray played at a private party near Mount Sterling. 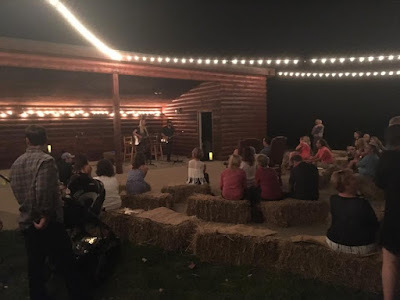 The owner of the beautiful farm threw a bash for his niece and her fiance. What a blast! The people were great we had more fun than should be allowed in a gorgeous outdoor setting. The owner called me a few weeks ago and asked me to do sound for the "opening act." It was an acoustic duo and they played about 300 yards from the farmhouse in a very intimate setting. I had no idea who the woman was, or her partner. So I get there, set up the equipment, and I find out the "opening act" is Holly Williams and her husband, Chris Coleman. Holly is the daughter of Hank Williams, Jr., and granddaughter of Hank Sr. Chris played with the Kings of Leon for five years and is also well-known for his painting. Geesh! I felt like I was in way over my head. They could not have been nicer, and their hour-long set was incredible. They were down to earth and super easy to work with, and they played their hearts out. Here's the main thing I took away from the experience. We were talking about Nashville, where they live, and how there are thousands of incredible musicians trying to make it. Chris said, "It's not about how great of a player you are. It's about your style of playing and what sets you apart." Chris recently played percussion and recorded an album with Miranda Lambert, and he said it was recorded live in a rundown garage in Nashville. "It's about the feel," he said. The other thing? These are regular people who like having a good time and meeting other regular people. Man, what fun. It was an honor to meet and work with Holly and Chris, and after a raucous Pepper Spray gig too (and much fun with The Cheeseburgers at the Hannibal Country Club last night), I'm gonna need a day or five to recover!